"Eliminating data silos with cloud-based business software"
Eliminating data silos with cloud-based business software can improve productivity, providing more accurate data, delivering better visibility, and reducing IT costs. Having different IT systems that can't communicate wrecks havoc across the organization has resulted in lower productivity, inaccurate and inconsistent data, poor insight and higher costs. What you will learn in this whitepaper? 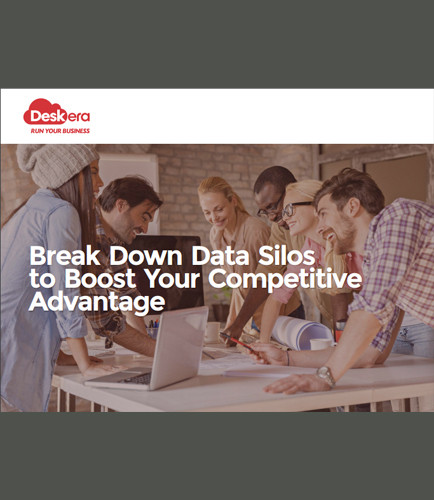 Improve your competitive advantage by learning how integrated, cloud-based business software eliminates data silos and how you can benefit from the ability to make better decisions that enhance your agility, boost customer satisfaction, and increase competitive advantage. Reduce IT Costs: Companies that run siloed systems may face many unnecessary costs that includes Capital costs for hardware and software, Integration and upgrade costs. Accurate Data and Decisions: How to use integrated system to eliminate inaccuracies that come from manually rekeying data into different systems. What is Cloud business ? Cloud business consist of companies providing cloud services. Cloud business deal with software-as-a-service (SaaS), infrastructure-as-a-service (IaaS) and/or platform-as-a-service (PaaS). These services help businesses build applications and websites, store and analyze data in a scalable, cost-effective, productive, and high-performance environment. Amazon, Google, Microsoft, SalesForce.com are some of the cloud computing giants.